Two-time UFC heavyweight champion Frank Mir, who signed with Bellator MMA in August, spoke to RT Sport about the organization’s heavyweight Grand Prix tournament, which he’ll take part in alongside seven other notable fighters. He is eligible to return to action in March 2018 just in time for the Bellator Grand Prix. 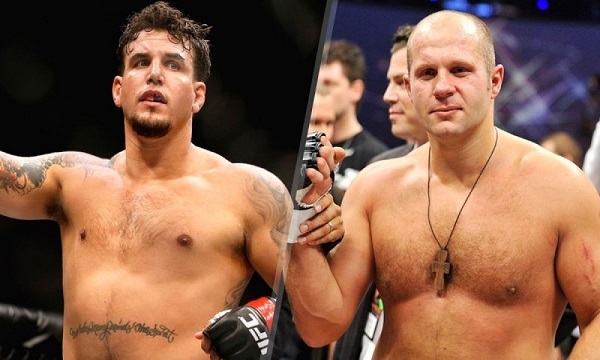 It appears as if Mir will face MMA legend Fedor Emelianenko in the opening round. Roy Nelson, Muhammed ‘King Mo’ Lawal, Chael Sonnen, Matt Mitrione, Quinton ‘Rampage’ Jackson, and Ryan Bader are also names that have been matched up in the event set to take place next year.